Auf halbem Wege zwischen DOLE und BESANCON. Viele mögliche Wege, Flüsse, Seen, Höhlen, EuroVelo Straße, Grafschaft Obst, Keller. We had a most enjoyable stay with Nadine & Eric in their idyllic gite. 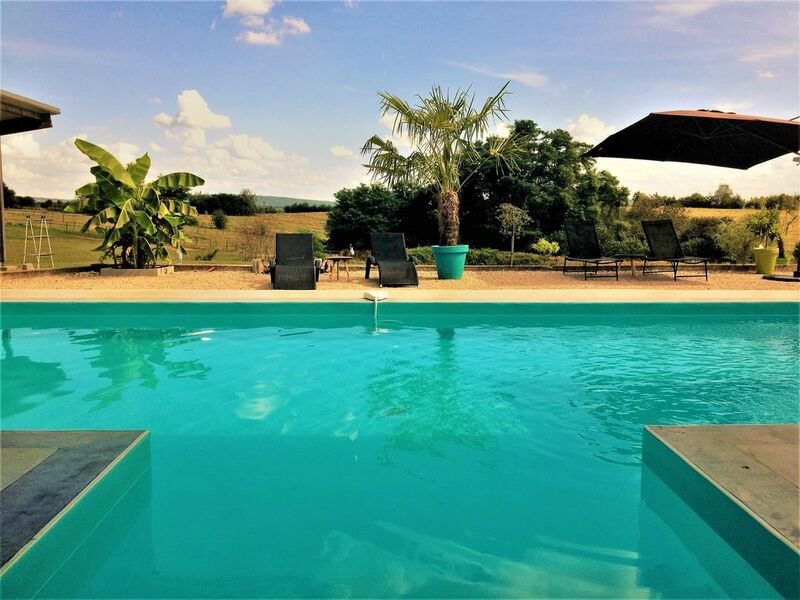 The weather was lovely, the view from the pool was beautiful while the nearby village of Dampierre had an excellent boulangerie. Nadine & Eric were lovely hosts who advised us where to visit, as well as introducing us to the local Jura wines one late evening. Vin Jaune and Savagnin are now among our favourites. We thank them for including us in an extended family and friends party which lasted most of the day.